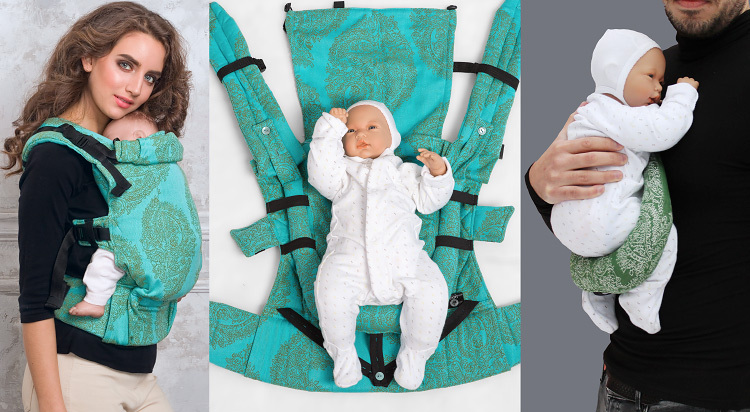 Excellent baby spine support and correct spread-squat (‘M-shape) leg position at any age: from birth (with insert) or 5 months (without insert) to 3 years. 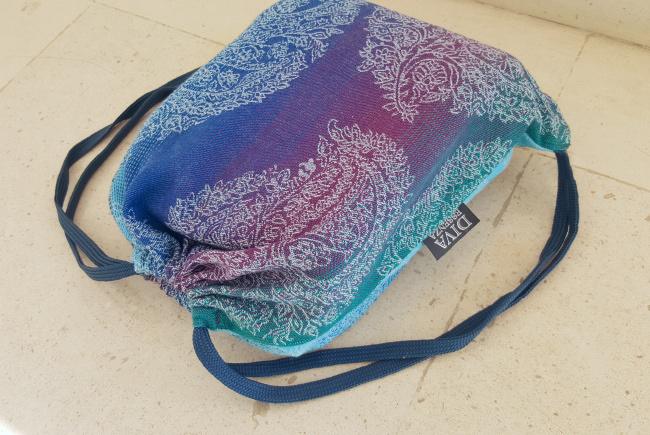 To carry a baby younger than 5 months (height less than 66 cm and weight less than 7 kg), you need to use our special detachable insert (included). 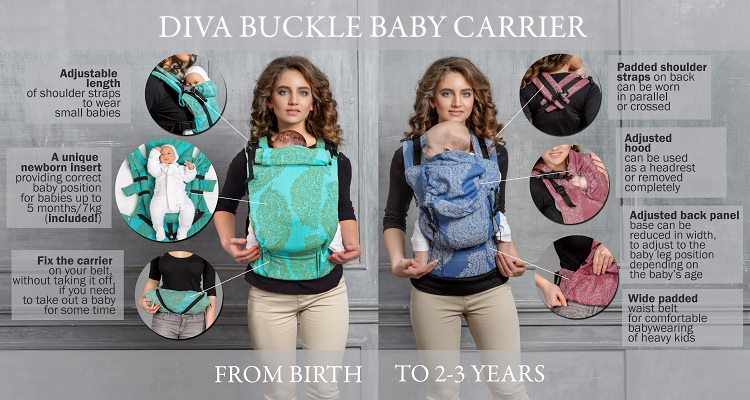 The patented Diva buckle carrier newborn insert not just reduces the space inside the carrier, but provides its ergonomic, natural position similar to that in woven wraps. Without a newborn insert: 70cm - 92cm.